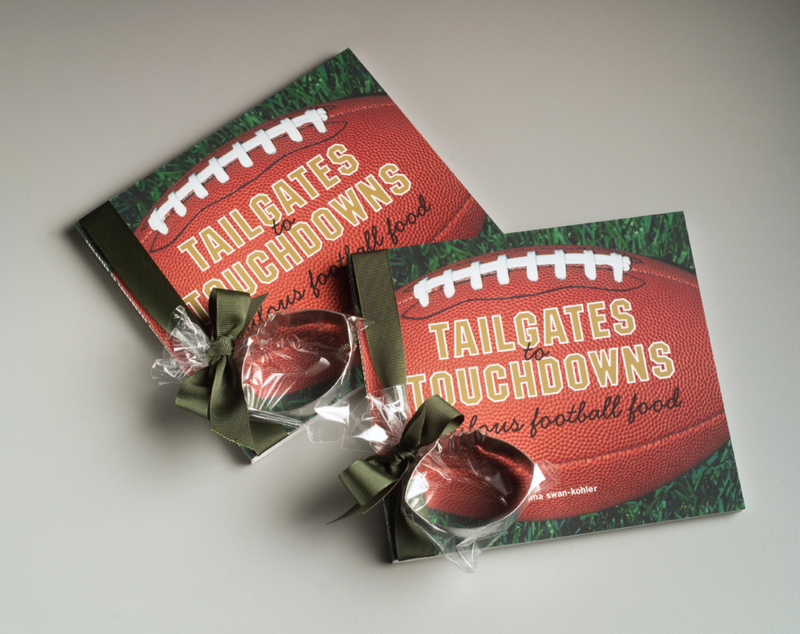 “Tailgates to Touchdowns: Fabulous Football Food” is a full-color cookbook developed exclusively for football and food lovers. It’s geared toward tailgating and party foods to serve at football games in the parking lot outside the game or around the coffee table watching football on TV. The book’s graphics carry out the football theme in each and every detail.